Hyundai has revealed that it will begin offering fingerprint recognition technology on its cars from 2019 onwards. This technology will let owners lock/unlock the doors, start the car and set their seating position and side mirrors with just their fingerprint. The carmaker has stated that the 2019 Santa Fe will be the first model to receive this feature. For the technology to work, fingerprint sensors will be installed on the door handles and ignition switch. This will allow drivers to not only unlock their cars without a key, but also turn on the engine. The fingerprint technology will also help in offering drivers a customised driving environment. What this means is that once the SUV’s biometric system recognises the fingerprint of a specific person whose profile is stored in the system, the seating positions, connected car features and side-view mirror angles will automatically be adjusted to their preset settings. 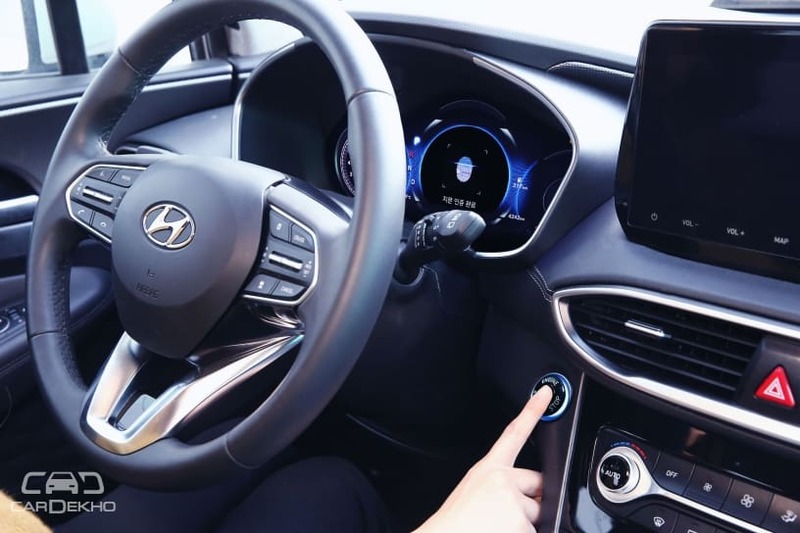 In the future, Hyundai will also incorporate adjustment of temperature and steering wheel position along with the fingerprint technology. Coming to the safety aspect, Hyundai claims that the fingerprint sensor has a 1 in 50,000 chance of mis-recognising a fingerprint. According to Hyundai, this success rate is five times better than conventional vehicle keys or smart keys. Hyundai will implement this technology in select markets first, before rolling it out globally. It is not confirmed if India will get this tech in the initial stages or when the global roll out happens. But we know that the 2019 Santa Fe is headed our way.